Juggaar - Hack your life: How to get back your stolen car in Pakistan? 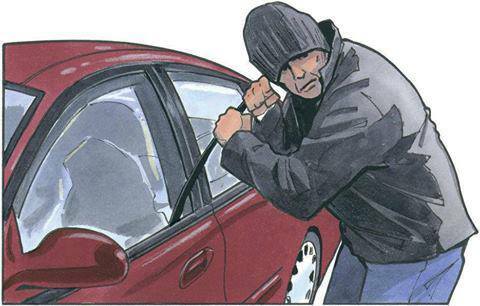 A useful tip for car owners on how to Immediately Get Back Your Stolen Car in Pakistan. It is a good idea for those who can't afford car insurance or Tracker System. It takes hardly a minute for a car thief to getaway with your car even with a tracking system or automated alarm systems. 1. Buy a low price mobile phone with a long standby time (a model of Q Mobile runs for 10 days on standby and cost around Rs.2,200/-). 3. Set this mobile on SILENT mode with vibration off (double check it). 4. Wrap the cell up in a plastic sheet to keep it from getting dirty or dusty during its hidden use but do not wrap it in any shielding material that might prevent it's signal..
5. Double check that the cell number is responding by calling its number from another mobile phone / land line. 6. Hide this mobile in a safe place in your car (make sure you do not hide it near your car's speakers or radio so that the disruption signal from cell does not give away it's position). And that’s it…! If your car gets stolen, immediately inform your local Police Help Line, 15 in Pakistan. Give them the phone number of the mobile hidden in your car. Police can easily track the location by calling that number. Chances are that you may get back your car within the shortest possible time. Remember to charge this mobile at least twice a week and hide it back in your car in active position.